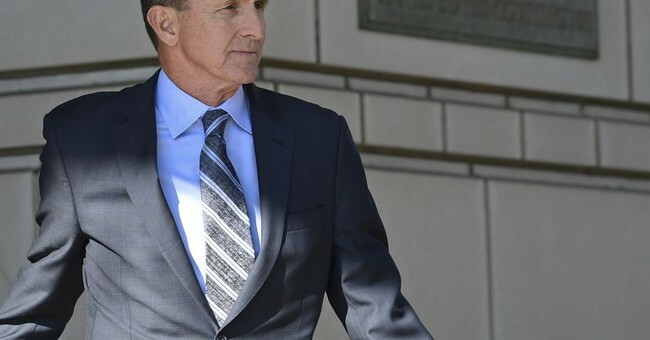 Flynn's sentencing, which has been delayed a number of times for reasons that have never been disclosed, is scheduled to finally take place on Dec. 18. Late Tuesday, Mueller filed what is called a sentencing report. Citing Flynn's "substantial assistance" to the investigation, Mueller recommended "a sentence at the low end of the guideline range -- including a sentence that does not impose a period of incarceration." It's no surprise Flynn might be spared jail time. So far, two figures in the Trump-Russia matter have been sentenced for lying to investigators, the same offense as Flynn. Alex van der Zwaan, a bit player connected to Paul Manafort, was sentenced to 30 days in jail. George Papadopoulos, a short-time Trump campaign foreign policy adviser, was sentenced to 14 days -- and that was after Mueller complained that Papadopoulos had not been cooperative when he was purportedly assisting the investigation. The FBI did not originally think Flynn lied. In March 2017, then-FBI director James Comey told the House Intelligence Committee that the two FBI agents who questioned Flynn "did not detect any deception" during the interview and "saw nothing that indicated to them that (Flynn) knew he lying to them," according to the committee's report on the investigation into the Trump-Russia affair. Comey said essentially the same thing to the Senate Judiciary Committee and, in the words of chairman Charles Grassley, "led us to believe ... that the Justice Department was unlikely to prosecute (Flynn) for false statements made in the interview."